Jennifer Hill began her career in the commercial real estate industry over 20 years ago with Westfield Corporation in California. Jennifer grew up in San Diego and was introduced to CRE by working for the GC that built former San Diego Charger Junior Seau’s restaurant, “Seau’s” at Mission Valley Center. At the completion of this project, Westfield recruited Jennifer to Corporate Accounting and eventually Tenant Coordination for oversight of 24 Westfield Shoppingtowns. After Westfield she co-founded a kiosk brokerage company at a time when Landlords realized a new revenue stream: kiosk GLA. Later she led the regional expansion for Allstate Cellular, the largest west coast Master Agent for MCI. 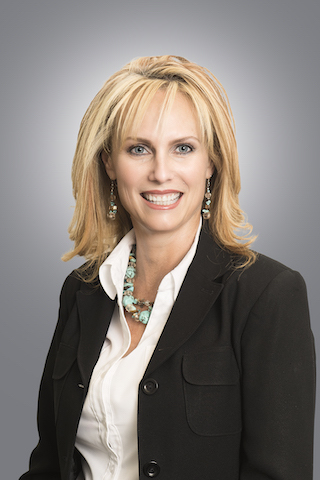 In 2001, Jennifer joined RED Development’s leasing team, relocating from California to Arizona, leasing ground up lifestyle and power centers as well as redevelopments in the Midwest. Before joining Diversified Partners she served as a Senior Advisor in Retail Leasing and Development for the largest SVN office in Arizona, specializing in Tenant and Landlord Representation. Jennifer strives to uphold personal core values: High integrity, professionalism, speed, responsiveness and service to her clients. She treats start-ups and sophisticated clients equally, helping them navigate through the commercial real estate deal process from needs assessment to executed contract. She has a Bachelor of Science in Marketing and serves as Senior Vice President of Brokerage and Leasing for Diversified Partners.